The Max-II and MAX-IIa Metabolic Carts are a highly accurate, durable and streamlined systems offering our customers an economically priced alternative with the same service and quality that you come to expect from the AEI Technologies’ world renowned Moxus system. The MAX-II offers software independent gas calibration using the front panel displays and controls; the MAX-IIa does not have this independent calibration feature but is otherwise identical to the MAX-II. 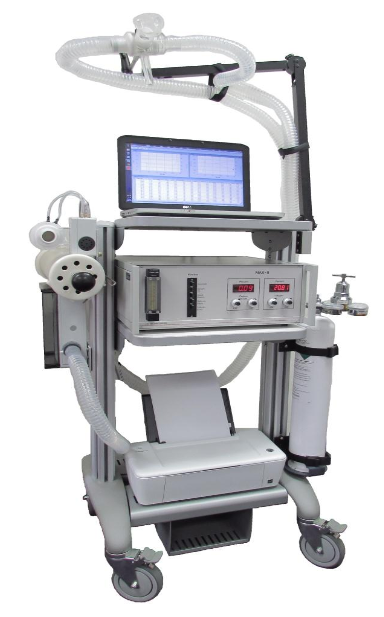 The Max-II and MAX-IIa are ideal for research, teaching and clinical institutions working with limited budgets. This system’s fast response time, exceptional accuracy and excellent stability guarantees data that you can depend on and it’s longevity ensures you will be able to obtain these results for many years.